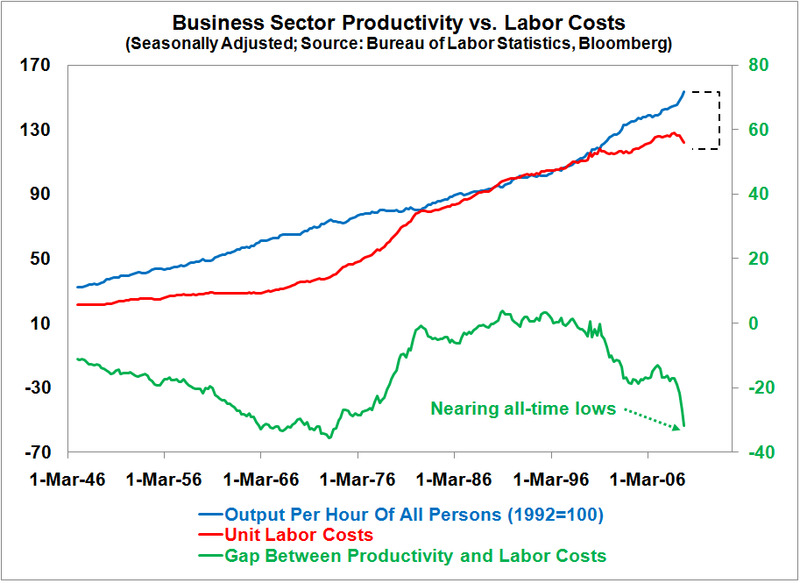 Repeating a familiar pattern, U.S. nonfarm productivity surged in the fourth quarter as unit labour costs fell, indicating that businesses are making the most of a weak jobs market and squeezing more profit out of each worker. Not surprisingly, many economists viewed the report as a positive sign. 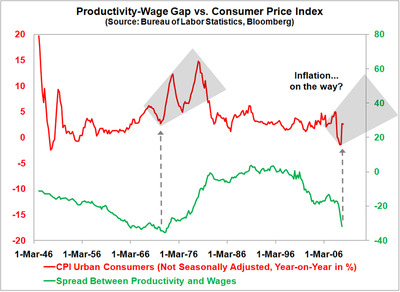 If companies keep earning more money, the logic goes, then the economy’s return to growth won’t be far behind. But is that the most likely outcome? Isn’t it also possible that if hiring remains soft, a critical mass of those who are still employed — especially those with a union standing behind them — will say “that’s enough!” and demand more money and benefits from their employers? 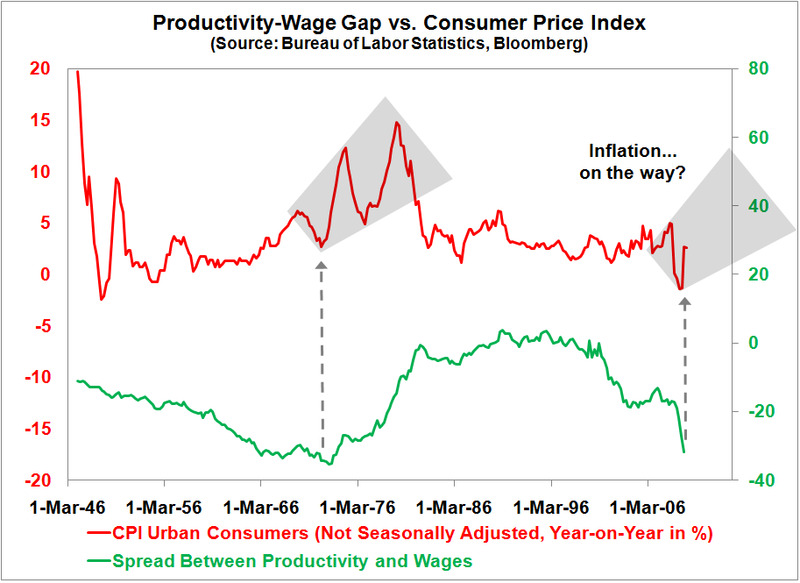 If so, that could set the stage for a period when wages and prices rise despite weakness in the overall economy. 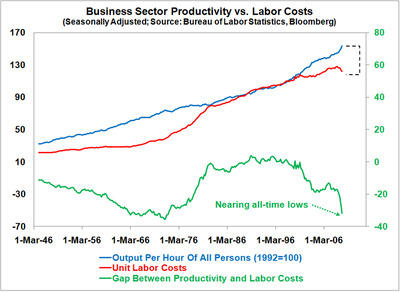 Interestingly enough, if you look back at the history of the relationship between productivity and labour costs, the last time we saw a gap between the two as wide as it is now was — you guessed it — in the 1970s, before the Great Stagflation. Although it is too soon to say whether this aspect of our economic history is about to repeat itself, today’s allegedly good news from the labour Department may not be all that it seems.